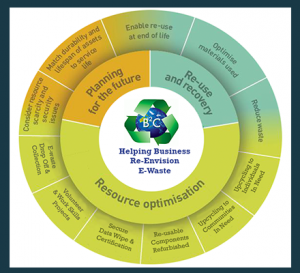 B2C Community IT Recyclers uses a multi-step data erasure process to remove all traces of ownership from your e-waste or redundant IT equipment. We ensure your organisation or personal data remains secure. Whether you are an individual seeking to dispose responsibly of your home or office PC, a business with significant IT equipment, or large government or corporate institution seeking to manage redundant IT equipment, we focus firstly on data security and erasure. We protect your data through either hard disk destruction or data erasure techniques that are ‘world class’, certified and recognised for their effectiveness. If the integrity of the HDD is sound it will be wiped using one of two processes. Blancco guarantees 100% data sanitization of all your IT assets, once erased, the data cannot be recovered with any existing technology. The Blancco technology has more than ten national and international third party approvals, certifications and recommendations – the most in the industry. It is Certified for Common Criteria (ISO 15408) as an internationally recognised independent security certification by governments in 26 countries across Europe, Australasia, Asia and North America. Blancco is used extensively in Australia for and by Federal and State Government Departments, Banks and large auction rooms. See www.blancco.com for more information. B2C issue a Blancco report showing each HDD and its relevant machine information, for each machine wiped. All Hard Disk Drives (HDD) are tested for integrity. If a disk proves to be faulty before, during or after data erasure, it is destroyed and rendered useless. The disk is then disposed of through approved and environmental waste services. If your e-waste includes a HDD that must be destroyed, please discuss this when you contact us to manage your collection.